A local historian, William Porter, dropped into the True West World Headquarters yesterday and paid me a high compliment. Two, actually: he told me he admires the fact that I always strive for accuracy in the magazine and that as far as he can tell it seems like I'm having a good time doing it. Both are true, to a point. Like everyone, I am fighting other battles I don't seem to be winning. I'm not alone. As the writer Sam Anderson put it, "No one is ever truly out of the woods." "A New Old Vaquero Logo"
"The grandest ambition that can enter the soul is to know the truth." 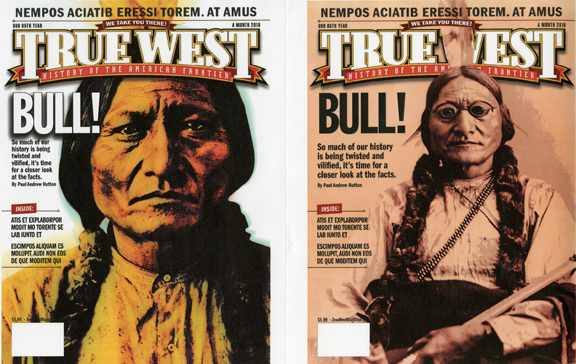 I have dedicated a good part of my life to seeking the truth about all the Old West characters we cover. The quest has been satisfying and, by turns, frustrating. For one thing, no one can ever get it completely right and then to make matters really frustrating, nothing changes more than the past. 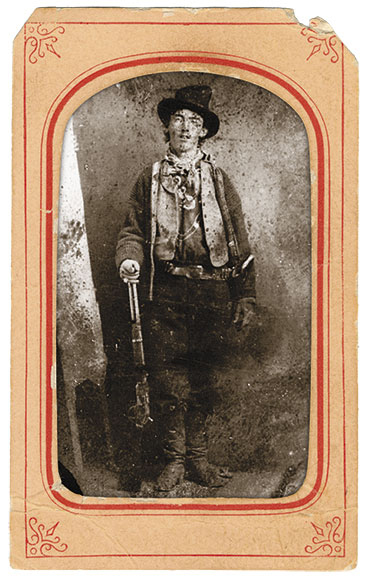 We used to believe Billy the Kid was left-handed based on the only known photo of him with his holstered pistol, on his left hip. 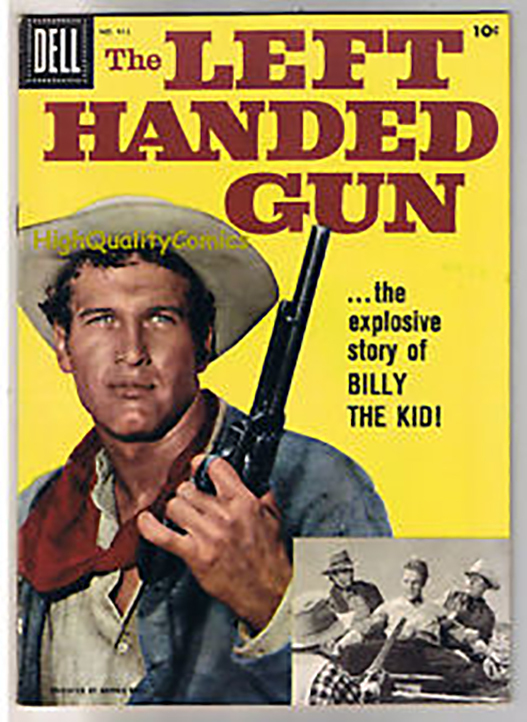 Articles were written to back it up (some old-timers even testified to him being left handed), some psychologists claimed his being left-handed contributed to his delinquent behavior, which then led to a movie, "The Left-Handed Gun." But then someone noticed the buttons on his vest in the photo were on the wrong side and someone else noticed the loading port on the Winchester was on the wrong side and eventually it dawned on everyone that the photo was a ferreotype and the image was reversed, and, well, scratch all of the above. When I was in Prescott last weekend I spent some quality time with Paul Hutton talking about how so much of our history is being twisted and bent by forces hell bent on destroying our heritage. I asked Paul to write up an editorial for our 65th Anniversary Issue, which is November. I asked Dan the Man to take a run at some cover ideas and as usual, Dan covers the dog, as we like to say out here. He's since done two more cover ideas and I'll share those later. "Truth is the shattered mirror strown in myriad bits; while each believes his little bit the whole to own." Professor Hutton has got it right. There has been a deliberate to bend and twist our heritage and rob us of our heroes. Just this morning I worked my way through Marc Simmons little book The Short Truth about Kit Carson and the Indians. Written in 1993 it addresses the same problem. Professor Hutton gave a great talk in Prescott. Scares me, too. I don't ever see this fight ending either. I like this extract so much that I will put it in my Topessaywriting.org rating that I write in my blog.